With one last throw remaining, 13-year-old Ariana Levy knew she had to do something she’d never done before if she wanted to become national champion. 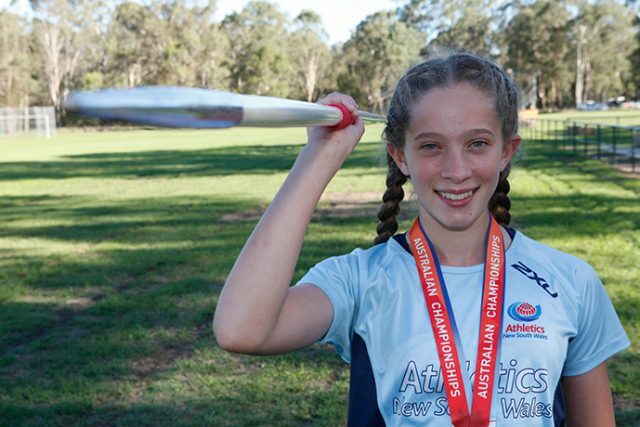 Competing in the U14 Javelin event at the Australian Junior Athletics Championships earlier this month, the Penrith resident was sitting in second place patiently awaiting her fourth and final throw of the competition. The Year 8 St Paul’s Grammar School student already laid down a personal best 36m earlier in the day, but needed to hit 38m and beyond to overtake her fierce rival from Western Australia. “I told myself to just go for it… I thought if I throw it the best that I can, I’ll just see what happens,” Ariana said. As the lightweight javelin left Ariana’s hand, it soared through the air for a few seconds before landing pointy end first into the turf. Ariana had done it! Not only did she pull off another personal best, but her score of 38.91m was enough to put her in the lead… for now that is. “I was shocked but so happy, I couldn’t stop smiling the whole time,” Ariana recalled. Unfortunately for Ariana and her family watching in the stands, she still had to nervously wait for her challenger from the west to unleash her final throw. “After she saw that I hit the lead, I thought she would do whatever she could to overtake me. I was so nervous when she was throwing,” Ariana said. Ariana claimed gold that afternoon and was crowned national champion in a sport that she’d only been doing for a couple of years. A champion hurdler and big lover of Little Athletics growing up, Ariana took up javelin when U11s were permitted to compete in the event. “This year I’ve improved heaps in javelin, and it’s the first time I’ve done really well at it,” Ariana said. 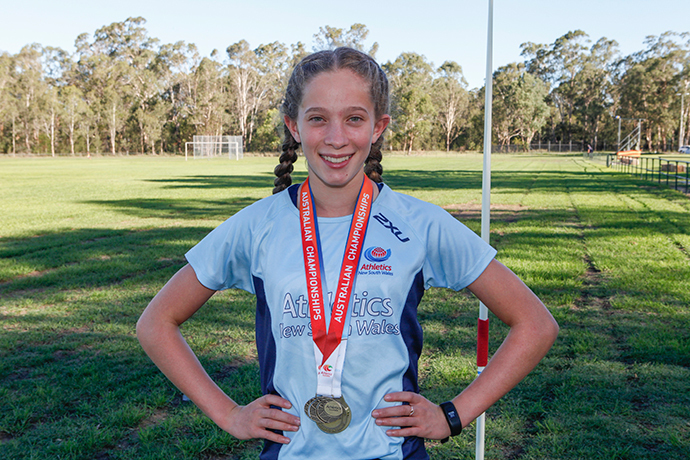 In the meantime, the Werrington Little Athletics member is training hard as she prepares to compete for NSW at the Australian Little Athletics Championships on the Gold Coast next month.